Social trends over the ages have had profound implications on educational reforms and the use of technology. Since social media is a burgeoning area of interaction amongst our teenagers, educators can’t afford to turn a blind eye to it. Cliché but true! While some schools balk at the idea of promoting the use of social media in the school premises and talk about its pitfalls, other schools are advancing and pacing up to a fever pitch in terms of the quality of education being offered. While most of the schools give the green signal for student engagement with social media in school premises, students as well as teachers continue to learn. 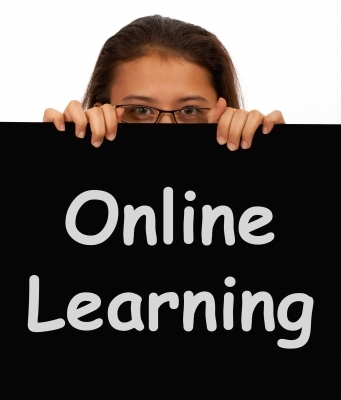 On one hand, where digital engagement for teachers used to be a paradox, its other face required them to model ongoing learning as they viewed themselves as life-long learners and that in turn required them to ameliorate their digital engagement in order to show the right path to their students on the internet. This is the time when I actually see classrooms expanding beyond just four walls and the world of social media serving the purpose in a much better way. On one hand, social media has given our young stars the power and the freedom to learn and has provided the platforms for E-learning, on the other hand, there are chances of it being misused and parents remain questionable about the assurance of safety. Schools embracing social media are taking appropriate measures to render certainty about student safety, so that they do not become victims of bullying or any harassment by peers and sexual predators. Social media is such an integral part of our lives today that we just cannot forbid this generation from being active on social networks or accessing the internet. We really can’t and if you do, you might be doing that at the cost of your child’s learning. In fact, 90-95% of the web-sites today receive hefty engagement from our school going teenagers. Therefore, I definitely do not have any qualms with schools promoting students to use social media. The point is rather than blocking the technology, we need to educate our young stars as to how to use technology effectively at this nascent stage itself. They should be informed of appropriate ways to behave on social networking sites, how to use it in a positive way for their improvement, both academically and mentally. In fact, schools play quite an important role here. If they do not intervene then all that the students will be doing with social media is chatting over the internet, getting entertained and playing games. Educators need to provide a direction to the children so that they can get the best out of it. Yes, you read that right. The government is asking schools to use social media to make children ditch junk food. The Union Ministry of Health and Family Welfare has turned to social media for the promotion of healthy food habits in school children. The Food Safety and Standards Authority of India (FSSAI) under the ministry has recently drafted guidelines on the critical issue of junk food consumption, advising schools to use social networking sites to spread awareness about the ill-effects of consuming unhealthy food. In fact, the government of Rajasthan, one of the largest states in the country is building up extensive infrastructure for information and technology for training purposes. Lately, the Punjab government has asked schools to upload photos, videos and other updates of school activities on Facebook so that their counterparts get to know about it. Many schools in Bangalore use are taking social media quite seriously, they have been using Facebook and Twitter to impart lessons. Wellness curriculum is the new subject on school timetables, and involves education about Facebook and Twitter. Cyber bullying , sexual predators, online privacy and sensitizing kids about social media leading to crime are some of the topics covered in such sessions. Indus International School teaches their children about how to use networking sites responsibly, how to communicate personal information, and crimes that arise out of immature handling of these sites. #DidYouKnow Humans are the only animals that smile as an emotional response. There are few other schools that are following this model and I believe that this should be the way forward. Jawahar Navodaya Vidyalaya and Intel Technology India Pvt Ltd have a collaborative initiative that specially aims at implementing social media in education through innovative use of ICT tools available in JNV Vijayanagram. This initiative saw the use of social media computing or online tools that facilitated user interactions and collaborations, enabling students to share experiences, to become content co-creators and to enhance their learning. The world is becoming digitized and gone are the days when students bothered to look at the notice boards for date-sheets and parent-teacher meetings. Schools are using Facebook, Twitter, Google docs and internet collaboration tools and find them a fun and easy way of sharing information. The deadline reminders, assignments etc. reach the students at the same time all the way through social media. There are tons of applications floating on the internet that are being used for educational purposes in schools in a way better than ever. Moreover, teachers keep an open eye on such educational applications so that students can get to know about them. Most of the applications on the app stores are free and hence they do not even cost them a penny. The educational trend is changing and even young children are motivated to create their blogs, which at least engages them in a productive activity, helping them learn, improving their literary skills and much more. Moreover, through the same activity but a slightly different approach, senior students are learning the way things work over the internet and getting to know about the protocols and web-development. Think of a situation when the management is to organize an event. Now, can you imagine the management going to every single student for reviews/suggestions? No! 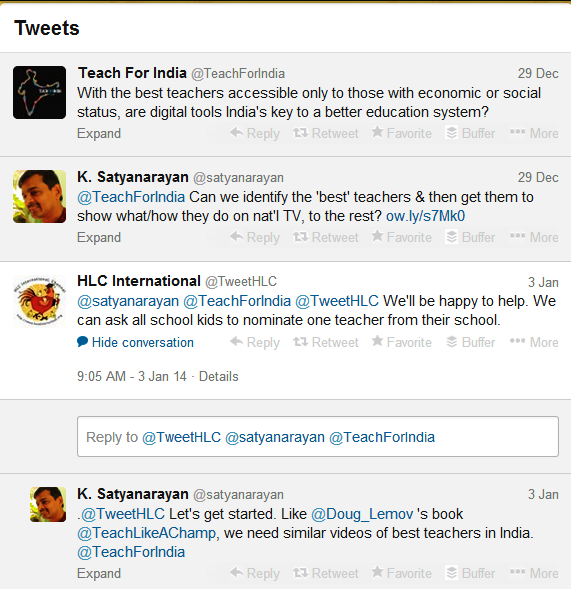 But, the same is possible through social media with thousands of students interacting or responding within seconds. 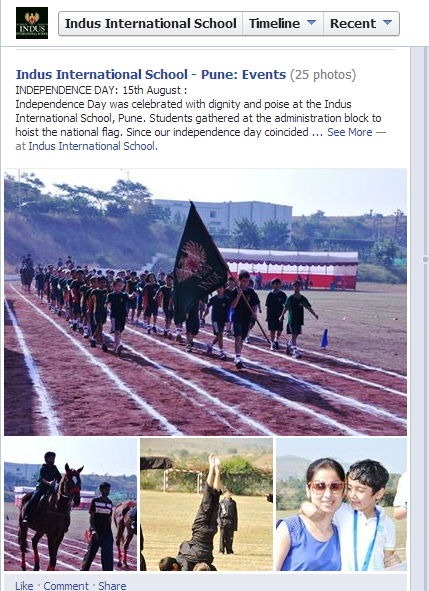 Schools keep their Facebook and Twitter pages updated in the interest of students. They help them stay motivated by applauding them for their achievements over the internet. Many schools are taking up the initiative and conducting selections through social media for foreign exchange programmes. Through such programmes, students get to know of various opportunities and get to explore the differences in the syllabus and all the additional things which they generally do not come across. Social media has further facilitated the student exchange programmes in such a way that schools even get students connected to students in abroad so they can exchange their cultures and can work on assignments together. If you can’t beat them, join them. Or at least tweet them. That’s the attitude in schools in Chennai. As everyone today realises how much time students spend on social networking sites like Facebook and Twitter, schools have decided to join them online. Educational institutions such as St Patrick’s School, HLC International, Rosary Matriculation Higher Secondary School and Chennai Public School (CPS) are using sites like Facebook, YouTube and Twitter to interact with students, parents and alumni. #HLCSchool will be closed today (Sept 11, 2013) due to inclement weather. So, the crux here is that what we need today is to step ahead, move forward and not look back. If we don’t then teenagers will, but they need guidance and to guide them, we need to keep pace with the digital world and support them. Only we can help them conquer the pitfalls and proceed, otherwise they will end up landing in those pitfalls and I am sure none of us want that to happen.